Tips for Connection - Wendybird. Whats the best thing that has happened to you today? Whats your favourite way to spend time? What in your life brings you the most joy? What was the last book you read or movie you watched? 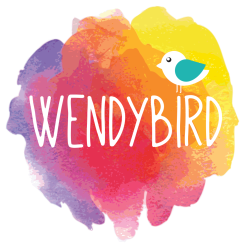 Why do you like coming to Wendybird? When you talk to strangers, you're making beautiful interruptions into the expected narrative of your daily life — and theirs," says Kio Stark. In this delightful talk, Stark explores the overlooked benefits of pushing past our default discomfort when it comes to strangers and embracing those fleeting but profoundly beautiful moments of genuine connection. A simple, intentionally appreciative inquiry can result in a playful state that fosters creativity, openness and togetherness. Grounded in the science of positive psychology, this interactive talk demonstrates how appreciative inquiry opens us up to experience even greater positivity. The result: less fear and strong heartfelt connections and understanding between people, even strangers. Brene Brown studies human connection -- our ability to empathize, belong, love. In a poignant, funny talk at TEDxHouston, she shares a deep insight from her research, one that sent her on a personal quest to know herself as well as to understand humanity.